high-quality workmanship and durability in use. may have an impact on the achievement of the Organization's objectives. efficient control of problematic events. 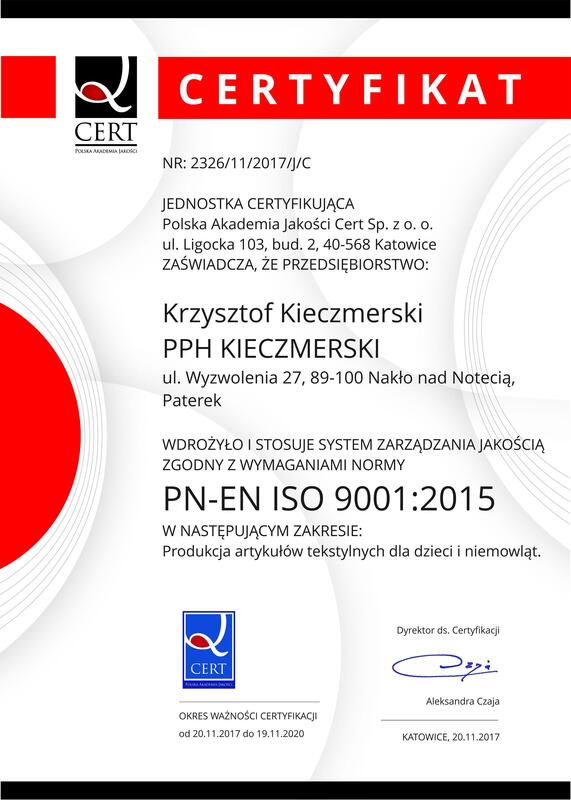 popular certificates issued in Poland. 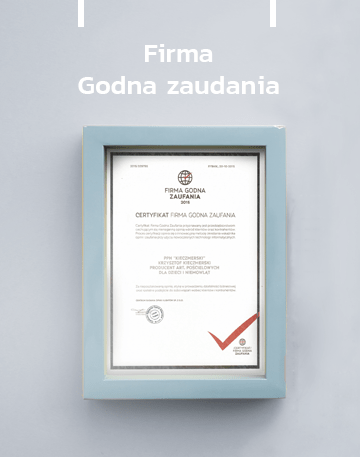 Certificate is awarded to companies for good repute and ethics in running their business. family segment, in particular safe, friendly and recommended for children. 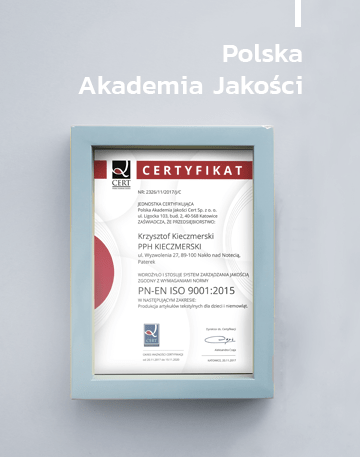 the highest-quality products and services.